Excellence in legal education can be achieved only by enduring efforts and dedicated teamwork on the part of the management, faculty and students alike. The School has a well-qualified, experienced and dedicated faculty who are committed to the cause of quality legal education. 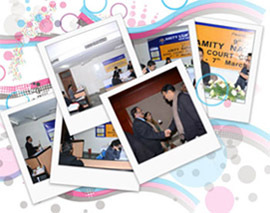 The institute has been organizing every year faculty development/orientation programmes. 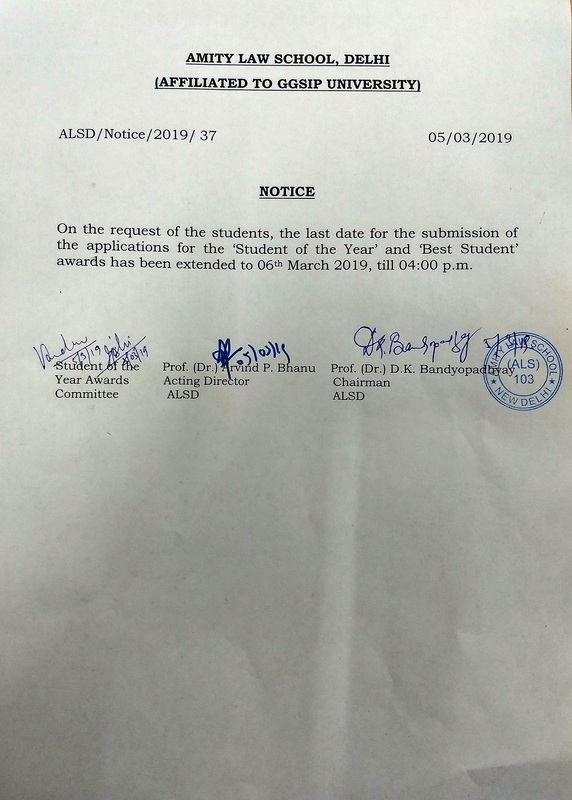 The faculty members are being deputed regularly for UGC Orientation/Refresher programmes as well as the In-house Faculty Development Programmes organized by the Amity Academic Staff College. They are also nominated to participate in seminars and workshops organized by the Law School as well as other organizations and universities in and outside Delhi. The faculty has also been involved in research work in their respective areas of specialization and has been publishing articles in reputed journals. Prof. M.K. Balachandran has been working as the Director of Amity Law School established under the auspices of the Ritnand Balved Education Foundation (RBEF), and affiliated to the GGS IP University, New Delhi since its inception in 1999. He is a Post Graduate in Economics and Post Graduate in Law with specialization in Administrative Law, Constitutional Law, and laws relating to Urban Development, Consumer Protection and Right to Information. 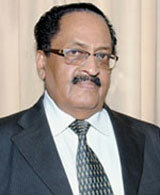 He has been redesignated as Professor of Eminence and Chair Professor for Chair for Law on 29th April, 2013. He has been awarded the Prof. N.R. Madhava Menon Academic Excellence Award, 2009 instituted by the Society of Indian Law Firms and the Menon Institute of Legal Advocacy and Training in recognition of his distinguished services to Indian Legal Education. He has more than 40 years of teaching, research and training experience in India and abroad. He started his career in the Department of Law of Kerala University and thereafter worked in various capacities in different institutions of repute. He worked as a member of the faculty in the Indian Institute of Public Administration (IIPA), New Delhi, the Ahmadu Bello University, Zaria, Nigeria, the National Law School of India University (NLSIU), Bangalore and as a Legal Consultant for the International Committee of the Red Cross (ICRC), New Delhi. He received training abroad as a UNDP Fellowship holder on Comparative Local Government and Training for Trainers in Local Government organized by the International Union of Local Authorities, in the Hague, Netherlands, U.K. and Sweden. On the invitation of the German Foundation for International Development he participated in a Programme on the Role of Local Administration in National Development at Bangkok, Thailand. In 2005, he also participated in a Workshop on We the People- National Academy: The Citizen and the Constitution at Los Angeles on the invitation of the Center for Civic Education, Calabasas, California, USA. At the Indian Institute of Public Administration, Delhi, he organized regular training programmes for senior and middle level administrators on Law and Urban Development, Urban Plan Administration, Laws in Municipal Administration, Legal Dimensions of Administrative Decisions, Administrative Law and Consumer Protection. At the National Law School of India University, Bangalore, he was associated with Dr. Madhava Menon in building up the Law School since its inception in 1988. He has completed a number of research projects in the field of law which include projects on Town Planning and Urban Development Authority Legislation and their implementation sponsored by the Indian Council for Social Science Research (ICSSR), New Delhi, the Role and Rights of Women in Land Development sponsored by the United Nations Centre for Human Settlements (Habitat) and the World Bank, An Evaluation of the Effectiveness of the Implementation of the Consumer Protection Act, 1986 sponsored by the Government of India and a compendium on Consumer Protection & Medical Negligence sponsored by IIPA, New Delhi. As a Legal Consultant of the International Committee of the Red Cross he completed a project on National Implementation of Humanitarian Law in India. He also worked as Legal Consultant on the project on Reducing Poverty in Urban India sponsored by the Asian Development Bank and as a Legal Expert in the project on Yamuna Action Plan in Delhi. His involvement in the area of Right to Information (Freedom of Information) dates back to 2005 when he was associated with the Project Citizen India Programme sponsored by the Center for Civic Education, Calabasas, California, USA. This Programme aims to develop the concept of active citizenship among the students and teachers of various schools in India. As a part of the programme, he has been involved in training the teachers on Right to Information. In 2005, he presented a paper on Right to Information in the Workshop on We the People- National Academy: The Citizen and the Constitution at Los Angeles. In 2008, he was invited by Konrad-Adenauer-Stiftung Rule of Law Program (KAS) to present a paper on Access to Information in Theory and Practice in India in Hong Kong. Again in 2009, he presented a paper on the Recent Development in Administrative Law at an international conference held in Mozambique, Africa. He has published more than 45 articles and a few books on the legal aspects of administration, including issues in Local Government, Administrative Law, Urban Planning, Land Acquisition, Environmental Pollution, Consumer Protection, Right to Information, Women’s Rights, Humanitarian Law and Legal Aid to the poor. Recently on the invitation of Konrad-Adenauer-Stiftung Rule-of-Law Program Asia, he has submitted an article on “Judicial Review in India – Judicial Activism or Judicial Over-reach” for publication in the International Law Journal viz., Asian European Law Review – TAELR. B.Sc., LL.B. (Hons. 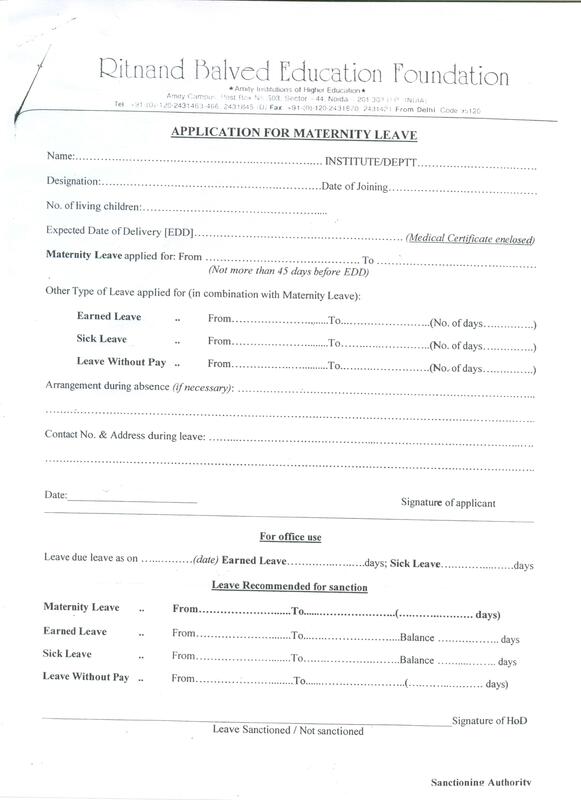 ), LL.M., Ph.D.
B.Sc; LL.B; LL.M ; UGC-NET Pursuing Ph. D.
B.A, LL.B(H), LL.M, UGC-NET/JRF, Pursuing Ph.D.
M.A. (Economics), M.Phil (Economics); UGC-NET, Pursuing Ph.D.